These homeschool articles are collated to provide further information, encouragement and different perspectives on how to homeschool. They are not just for newbie homeschoolers, but for those who have been on the journey for longer and looking for another perspective and some fresh encouragement. Are you a writer .... Add your own article. 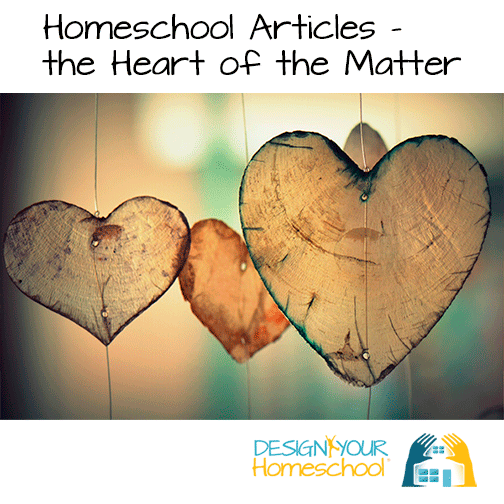 Read Articles written by other Home-schoolers here. When I was a young homeschooling mom, I had a big fear when I was out in public with my children. It went something like this: I’d be in the supermarket checkout line playing over an imaginary conversation that might result from the inevitable question directed at my children: “Oh, is there no school today, or are you homeschooled?” Another version of the same scenario involved a conversation with the Homeschooling Mom Who Does Everything Better Than I Ever Will as she asks my children what they’ve done that morning. Keep reading here. Ted Dintersmith is a highly successful venture capitalist and father of two who is devoting most of his time, energy and part of his personal fortune to education-related initiatives that call for a radical remaking of what and how students learn. He organized, funded and produced the documentary Most Likely to Succeed, which premiered at the Sundance Film Festival in January 2015. He, along with co-author Tony Wagner, recently released a book titled Most Likely to Succeed: Preparing Our Kids for the Innovation Era. And he is conducting a 50-state tour to encourage communities all over the country to re-think the purpose of school. Read more here. Here's one to send to those who love to bring up the "socialization myth"! "......Last year's teachers' conferences heard concerns that children were spending so little time with their own families that they were showing signs of aggression and de-socialisation, taking their behaviour from their peer group rather than absent adult role models....."
This is the first of Sir Ken Robinson's TED talks on Education. In this and his other talks, he challenges us as to how we educate our children. The walls of the living room are plastered with number charts and illustrated alphabets, and fun facts about gorillas. But it would be wrong to call this room in a home in Tarrawarra a classroom, even though Annie Regan and Tony Hickey choose to home-school their three children – Caitlin, 9, Liam, 7, and Millie, 4 – in this space. Are You Giving Your Preschoolers "Mommy Leftovers?"